Soon Swedish teenagers may find sharing pictures on Facebook, Instagram or Snapchat awkward under parental supervision as Stockholm plans to introduce an age limit for social media use. The Swedish government said Friday it is going to launch a special commission on implementing the EU Data Protection Directive. At the meeting the authorities are planning to discuss which age limits Sweden should set. According to the new EU legislation, this must be between 13 and 16 years old. Before this age, social media sites must be assessed only after parents’ authorization. The new regulation can have beneficial effects, Minister for Financial Markets and Consumer Affairs Per Bolund told Swedish Aftonbladet newspaper. "If this gets more parents involved in what their children do online, that's fine," he said. 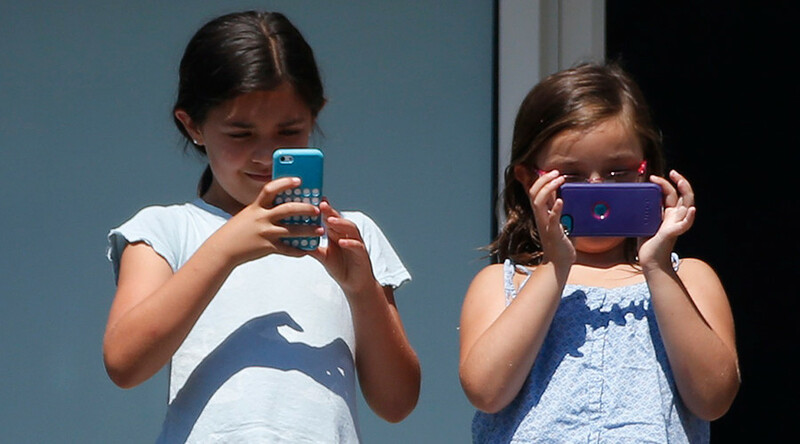 The websites which are planned to fall out of the kids’ reach include Facebook, Instagram and Snapchat. @FrokenFlipp Idiotin. Jag blir trött. Vi förbjuder omklädningsrum och skolgårdar med. Där mobbas det väldigt mycket. The regulation from December 2015 says that children “deserve specific protection” of their personal data, as they may be “less aware of risks” in relation to the processing of personal data. “When it comes to information society services offered directly to a child, the Regulation foresees that consent for processing the data of a child must be given or authorized by the holder of the parental responsibility over the child,” the regulation says. There is currently a 13-age limit for Facebook, Instagram and Snapchat users. However, this regulation is only a part of signing up agreement. Not everyone in Sweden is happy about banning kids from Instagram and other social platforms. “Students should be able to adapt in a complex reality, with the huge flow of information and a rapid rate of change. If we have a 16-year limit on social media, should we revise the curriculum?" a teacher Lotta Karlsson wrote on Twitter, as cited by Aftonbladet.